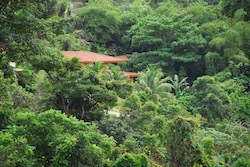 Family friendly luxury estate nestled in the rain-forest, overlooks the Pacific. Winner of TripAdvisor's "Top Vacation Rental", CasaTolteca is a completely private luxury estate nestled within an enchanted tropical forest. With spectacular close ocean views of the Pacific, CasaTolteca is ideal for large groups and gatherings with 6500 of living space. Our large great room is perfect for everyone to get together to socialize and enjoy meals. CasaTolteca also has three additional living suites to break away from the large group without having to retreat to bedrooms. CasaTolteca is much more than just a house. It is an estate with indoor and outdoor living space that snuggles up into the rain-forest, not just overlooking it. The fully air-conditioned estate is spread out horizontally, not vertically, with expansive decks and a beautiful vanishing edge pool with refreshing waterfall. 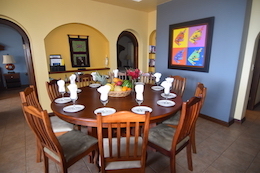 CasaTolteca is extremely popular for weddings, commitment ceremonies, and family reunions. The estate sleeps 12 in luxury with six comfortable bedrooms, three king and three queen beds with comfortable memory foam toppers, and six full baths, each with a double vanity. Additional trundle beds allow CasaTolteca to sleep up to 18 with no problem. One reason CasaTolteca is in such demand is its perfect location. 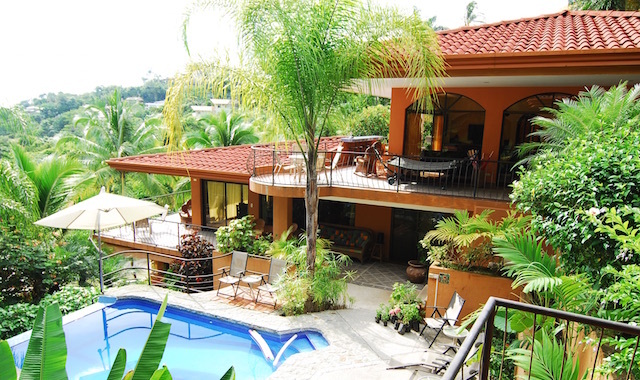 Surrounded by rain-forest, CasaTolteca is snuggled in the heart of Manuel Antonio with the best restaurants, casinos, clubs, shops, and bars all within a 5-10 minute walk. There's even a private wildlife refuge with reptile lagoons and butterfly gardens practically across the street. CasaTolteca is also one of the closest luxury homes to the national park and public beach. You can walk to the beach in minutes! Because of the unique location, you may not need rental cars which can save you $1000! Despite its easy access to all the essential services, CasaTolteca affords extraordinary peace, privacy and seclusion within the forest. 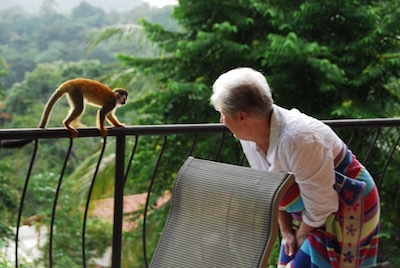 Frequent monkeys, occasional sloths, flocks of toucans, and many spectacular lizards may be seen about the villa. Hundreds of species of birds have been spotted from balconies in this area. 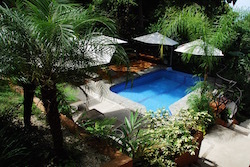 During your stay at CasaTolteca, you'll be pampered with daily maid service and regular pool and garden service. We can even arrange to have any of your meals prepared by a superb chef. 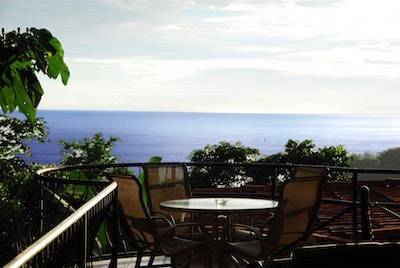 Our expert, personable and fluently multi-lingual concierge will be pleased to assist you with all your pre- and post-arrival planning and arrangements, including travel between San Jose and the villa, special services at the villa, and any of the many amazing eco and adventure tours that are available in the area.